Village Dental Centre is open every Friday from 8 AM to 1 PM (public holidays excepted) to better serve your dental needs. As always, we continue to offer late evening appointments on Mondays. Easter Bunny Is Coming Back! The Easter Bunny will be back at Village Dental Centre on April 19, 2019 from 10 AM to 12 PM! He will bring lots of Easter treats and take free photos with every guests at his party! As always, there will be a prize raffle for kids and adults. Be sure to watch for our invitation and join us at this FREE event! Santa Claus and and his live Reindeer will return to VDC in 2019. At their last visit, kids, both young and young at heart, took FREE photos with Santa and Comet and enjoyed cookies, hot chocolate and live music. Village Dental Centre elves raffled off prizes and gave out goodie bags. VDC's 4th Annual Summer BBQ on July 5th, 2018 was again a huge success! We celebrated summer with hotdogs, burgers, cold drinks and live steel drum music. It was great to see our old friends and welcome lots of new ones. Congratulations to all our prize raffle winners! Village Dental Centre proudly supports Lakefield Minor League Hockey. For game time and schedules, please visit lakefieldminorhockey.ca. Village Dental Centre offers comprehensive dental care for all ages, including children as young as 6 months. We offer late evening and Friday appointments. Check-ups, teeth cleanings, cancer screenings and preventive care. Esthetic dentistry such as tooth whitening and veneers. Restorative dentistry including fillings, crowns and bridges. Root canals, laser dentistry and gum surgery. Oral surgery including wisdom teeth, multiple and difficult extractions, and cancer testing. Denturist on site (Peterborough Paget Denture Clinic) to make and repair your partial or full dentures. We speak English, Spanish, Ukraine, Arabic & Russian. For your convenience, Village Dental Centre accepts direct payment from your insurance company. Third party financing is available. 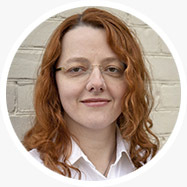 Dr. Maria Lit has been practicing at the Village Dental Centre since 2007. She received her Doctor of Dental Surgery degree from the University of Toronto in 2002. She also holds a BSc in Chemistry from the University of Toronto. She completed a General Dentistry Residency at the St.Francis Hospital in Hartford, CT and an Implant Residency at the University of Toronto. Dr. Lit has two small children. She is addicted to murder mysteries and enjoys jam making and gardening. Dr. Maha Albetawi joined our practice in November 2018 after relocating from Sudbury. 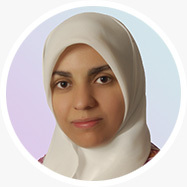 She received her dental degree in 2003 from the Jordan University of Science and Technology. In 2007, she obtained a Master’s Degree in Endodontics. She practiced in Jordan and UAE and worked as an Adjunct Clinical Professor at the Faculty of Dentistry of the University of Western Ontario. Since moving to Canada, Dr. Maha has worked as a general dentist but she remains passionate about Endodontics (root canals). She has 3 children and enjoys spending time with her family and creating delicious desserts. Dr. Brian Kumer graduated from the Faculty of Dentistry at the University of Toronto in 1984. 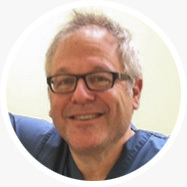 He is a general practitioner who focuses on wisdom teeth removal, complicated extractions and dental implant placement. He has completed many continuing education courses with emphasis on extractions and implant surgery. He is a graduate of the Gide institute, a high-level implant training centre based in Santa Monica California. Dr. Kumer has two daughters, loves to travel and recently got married. He has travelled to Israel and the Philippines doing volunteer dentistry. Dr. Kumer recently reached his lifelong goals of climbing to the top of Mount Kilimanjaro and the “Trek to Everest Base Camp”. Dr. Kumer is also certified for the administration of Intravenous Conscious Sedation and works closely with an anesthesiologist for the administration of General Anesthesia. Dr. Kumer is passionate about his career. He loves his work and looks forward each day to helping his patients reach their desired dental goals. Wayne Paget earned his Diploma of Denturism from the George Brown College in 1997. Together with his wife Kim, he built a thriving practice, Paget Denture Clinic, in Peterborough, ON. He opened a satellite clinic in association with the Village Dental Centre in 2002. In 2015, Wayne received his license to practice Denturism in Nunavut and he has just completed his first adventure to Cape Dorset and Kimmirut making dentures for the Northern communities. 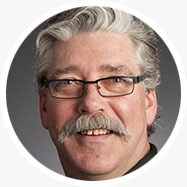 Wayne was on the board of the Denturist Association of Ontario and has held the position of the Chairman of Education. He is an accomplished photographer and a keen fisherman. 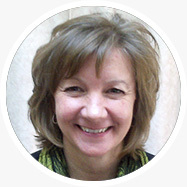 Ms. Laura Turner is a registered dental hygienist with over 20 years of experience in her field. In addition to her work in private practice, she taught dental hygiene at the Durham College for a number of years. Laura has 4 grown children and enjoys exercise and creative knitting in her spare time. 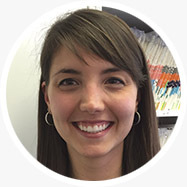 Ms. Laura Catherwood is a Registered Dental Hygienist that has been working in our office since 2014. She graduated from Durham College in 2012 and has been working in her field ever since. Laura is born and raised in the area. She is a horse lover and enjoys boating in her spare time. We have abundant parking located at the back of the building. The entrance to the office is also at the back of the building. There is a designated spot for persons with disabilities and an accessibility ramp to ensure barrier-free access to our facilities. What to expect at my first appointment? Please click Here for more information about your first visit. Do you accept assignment of benefits? Our general dentists accept assignment of benefits at patient’s request. Our specialist requires full payment on the day of service. If we accept assignment on behalf of the patient, we require any outstanding balances not paid by the insurance to be paid out in full on the day of service. Ideal teeth cleaning frequency has been shown to vary from person to person by multiple medical studies. How often your teeth need to be cleaned depends on the extent and severity of gum disease as well as your overall health and habits. For example, smokers and diabetics are more susceptible to gum disease and need to have teeth cleanings more often. If you have severe gum disease, more frequent cleanings are important to keep levels of disease-causing bacteria low and prevent them from doing more damage. Cleaning frequency in your insurance guide is an arbitrary number picked by the insurance company. It does not taking into account your dental health. You may need teeth cleanings more or less often than stated in your policy. It is our duty to inform you of what would be your ideal cleaning frequency. It is your decision and responsibility to follow through with the recommendations. I am very nervous about visiting a dentist. Can you help me? We provide dental treatment in a relaxed and pleasant professional environment. If needed, we can further put you at ease using nitrous oxide (laughing gas) or oral medication. Our oral surgeon offers additional sedation services appropriate for the surgical work. © Village Dental Centre 2015. Village Dental Centre in Lakefield provides comprehensive oral health services to the Greater Peterborough Community. All rights reserved. Book your teeth cleaning appointment at our conveniently located Lakefield office today!